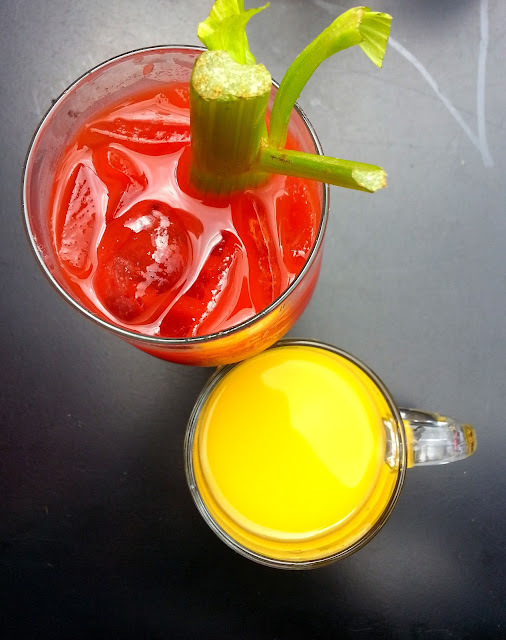 We were all on the same page when it came to brunch beverages, so we ordered a carafe of Bloody Marys. Anywho- the Seamus's Bloody Mary was garnished with bacon, Dubliner cheddar, a cocktail wiener, chilled shrimp, and.... a beef slider! I've already decided and I'm getting that next time I go, no matter what. 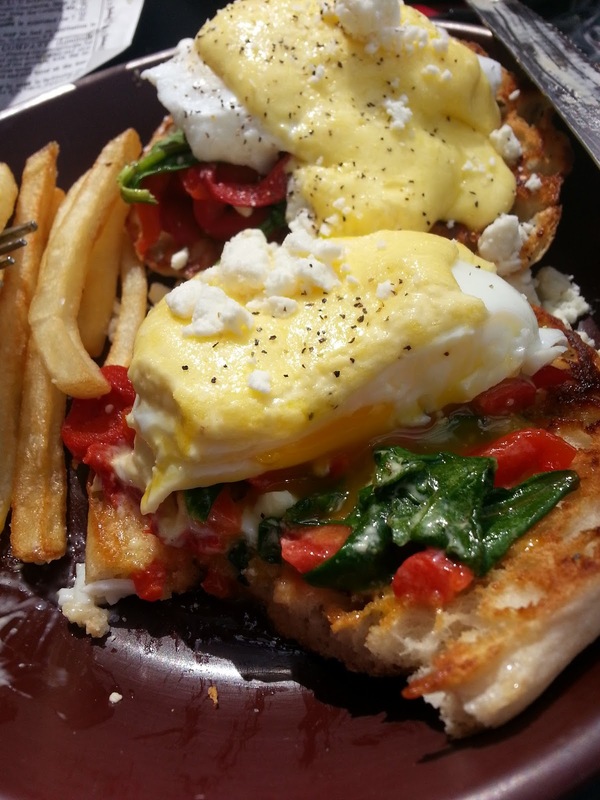 I ended up ordering the spinach & feta benedict. It was absolutely amazing, the English muffin was perfectly toasted and the homemade Hollandaise was fabulous. The amount of lemon was the perfect complement to bring out the flavors of the spinach, roasted red peppers, and feta. Whenever I go to a new brunch place and see eggs benedict on the menu I order it. Not only because its my all time favorite meal, ever. But I tend to judge them on how well they execute the poached eggs and hollandaise sauce. As much as I loved this dish I was a little disappointed that there was nothing else to accompany it. Eggs benny in every other restaurant is served with home fries of some sort and I definitely would have enjoyed them. So, I ended up snagging a few shoestring fries off M's plate. M ordered the breakfast burger which is a chuck and short rib burger, lettuce, tomato, onion, pub mustard, avocado, a fried egg and those fries. Pretty amazing, right? I made sure to take a bite for myself and this burger is to die for. Alexa ordered the sweet potato and black bean burrito. The wrap had scrambled eggs, sharp cheddar, sweet potato puree, and black beans with some home fries. I had a wonderful time and will definitely be back! 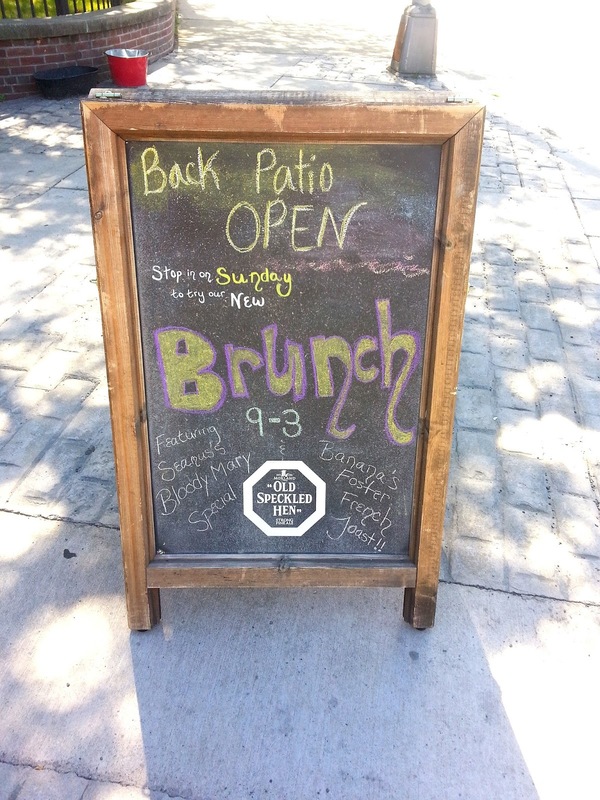 Thanks for opening up earlier on Sundays for brunch, Olde English! 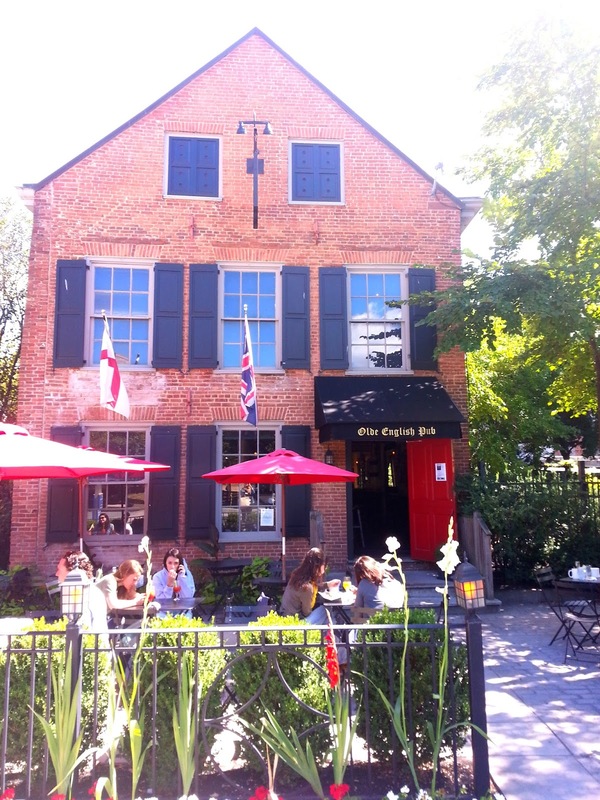 Keep up with the Olde English on Facebook and Twitter. 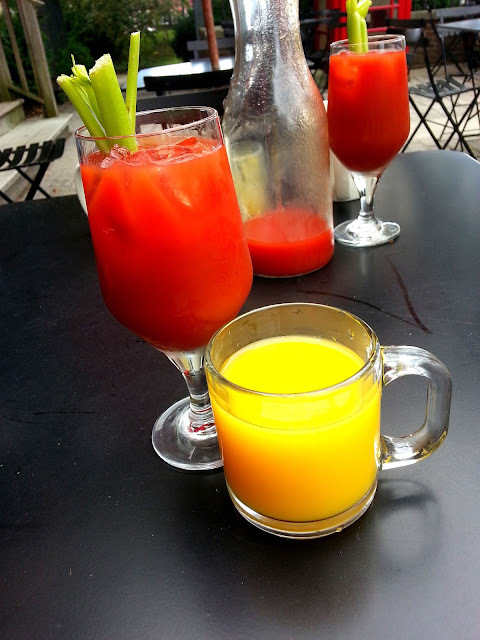 Love the Olde English Pub - great Bloody Marys!Ever tried the Madison Cafe brunch drinks?! St Germaine is to die for!